Happy New Year! I had an awesome 2015 and I am looking forward to the new year! I had so much fun in December. The holidays were amazing, I got an entire week off of work and my sweet husband quietly celebrated his 40th birthday! 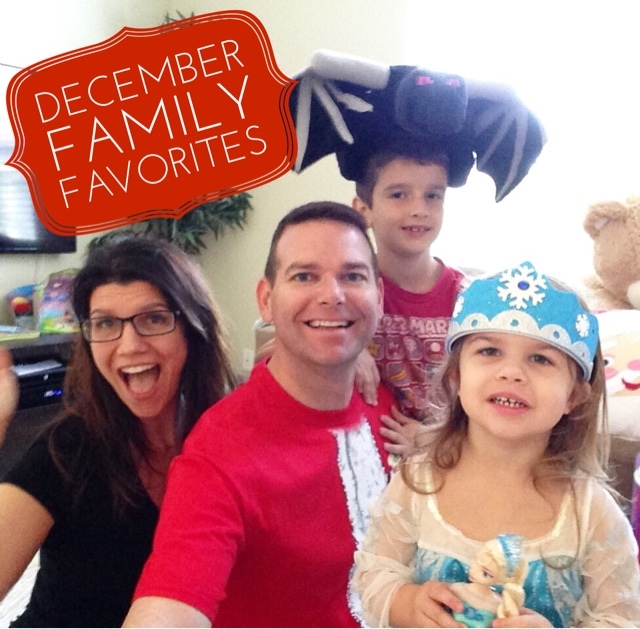 Every month I highlight one item that each family member is loving. These aren’t sponsored or anything (if it is I will always tell you!) they are just things we are obsessed with. I started this monthly series soon after I started my blog and readers are always telling me they love it. It is also a fun (& easy) post for me to write, since all I have to do is ask my husband & kids what their family favorite is! So since my husband did not want to have anything to do with a 40th birthday party, I decided to make the entire month a celebration. I left him a card along with a little gift every day leading up to his Christmas Eve birthday. His “big” gift was a blanket. I know what you are thinking. A blanket? Seriously? Yes, seriously. When I had Hudson, a dear friend of mine sent me a blue throw from Barefoot Dreams. It was the softest, most comfortable blanket I have ever felt. Donnie uses it almost every single night, and after almost 8 years… he needed a new one. They actually make the throw in different sizes, so I got him a twin size. (I knew he wouldn’t want one much larger, since we bring it from room to room) He loves it and told me it was the best gift! Totally worth the money! 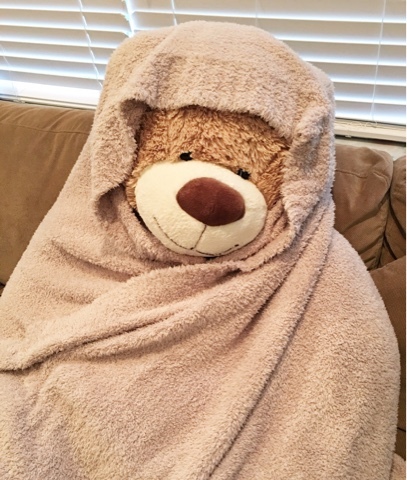 My husband refused to pose with his blanket, so the bear was a fantastic stand-in! Ever since that day she has been asking Santa for one, and as luck would have it, he brought her one. We took her to the store and let her pick out a new helmet (she chose Frozen, shocker) and she has been riding that bike ever since. She loves it! I think she particularly likes that she has a bike like all the other kids on our street, since she was the only trike rider. That’s our list for the month! What is your family currently loving? Any holiday toys that were big hits? I would love to hear about it in the comments section! ninja… every boy wants to be one! Happy bday hubby! seriously! My son is obsessed! I think I need a kindle. I thought it would be a "fad"– I think I need one. haha I think this fad is sticking around. It makes reading so much easier since you can keep hundreds of books on there! I really love mine! Yay for all your family favorites! The new Kindle I hear is amazing. 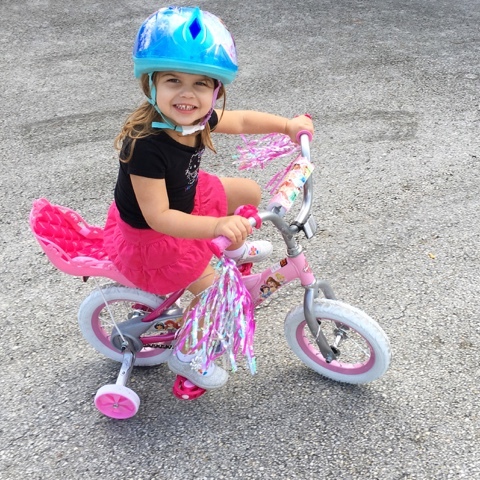 And that princess bike is too cute! 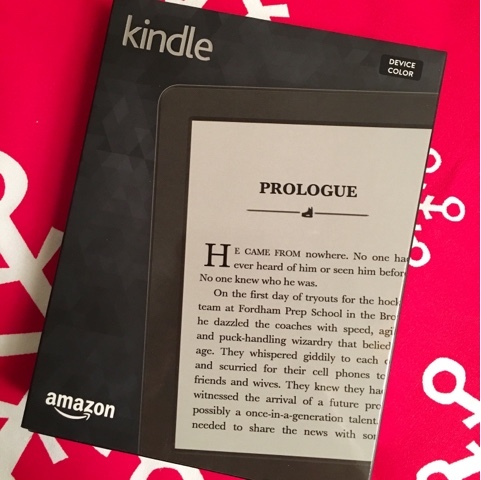 I love my Nook – but wanted a Kindle too! And I love that your husband avoided his birthday – that blanket looks amazing! I went back and forth, but I am amazon obsessed which is why I ultimately selected a Kindle. ha! That bear is very photogenic! So cute! 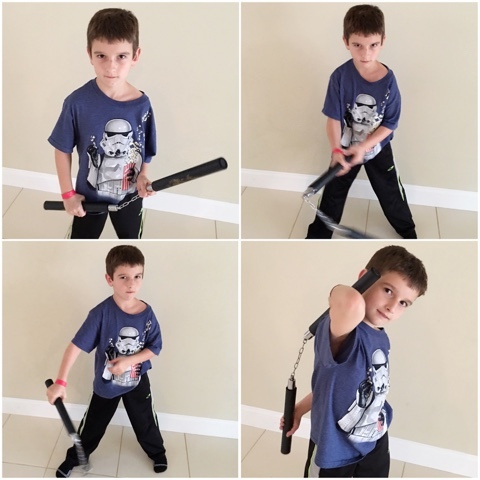 I love how in character your son is with the ninja gear — will have to get my son a pair when he's a little older :)! They are actually pretty lightweight and soft too.. I think the "metal" chains are really plastic. 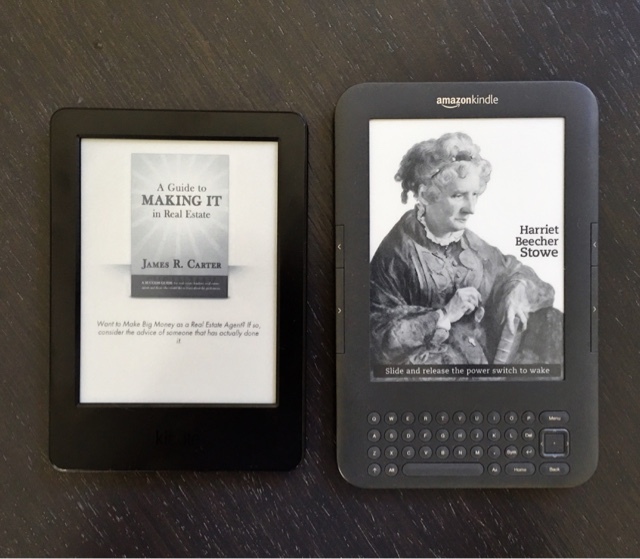 I have been hanging on to my second gen Kindle since the end of 2011. It's on it's last legs…I'm sure I'll get a new one this year. I am glad to hear you like yours. Happy New Year!!! I was hesitant to get one since I was worried I wouldnt like the touchscreen but it is not an issue at all. I love my new one. I love your husband's favorite! That is seriously the cutest thing ever! And I totally understand-those soft blankets are ridiculous!! It is so so comfy. it is insane! Oh, the new Kindles are so awesome! My husband has one and he just loves it! Oh that new kindle is great! Mine is pretty old now. I would to upgrade!